These barrels for the Polish Tantal will allow you to use any 14-1lh muzzle brake instead of using the Tantal Specific brake. Other than that they will fit the Tantal kit like normal. 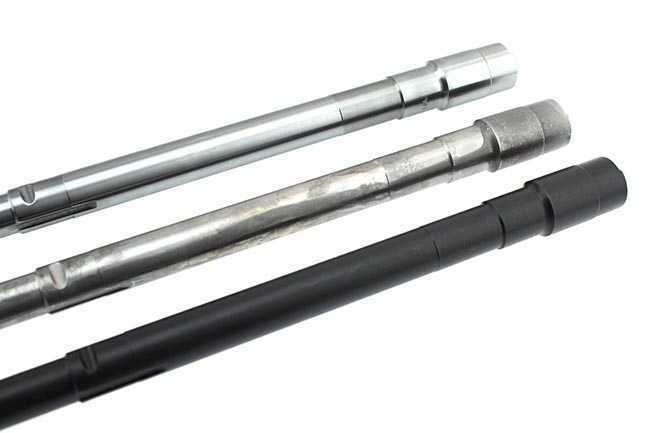 All three styles of barrels are shown, but you will choose which one you want to order. The top pictured barrel is non-chrome, middle is chrome lined and the bottom is black nitrided. Made from 4150 Chrome Moly steel. The handguard retainer slots and extractor clearance cut has also been done on these barrels. The gas port is also now drilled. Barrel is in the white. 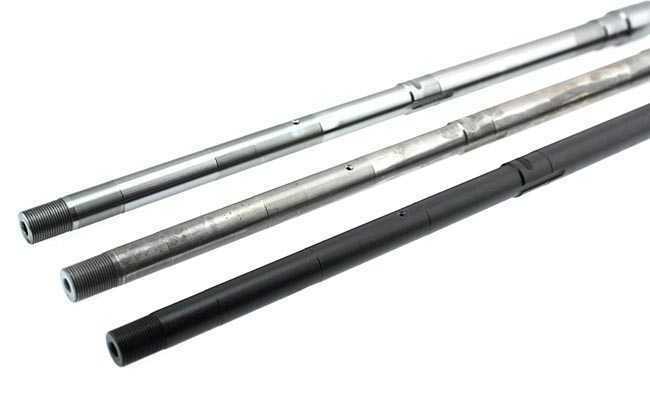 These barrels are made from rifle blanks with a .214" bore and 1-8 twist. Each barrel is stamped USA 5.45 for 922r compliance.